See through lid allows the operator to monitor solution recovery. Removable waste water tank for easy dumping and cleaning. 25" long X 13" wide X 29" tall. Handle folds for easy transporting. 12" Cleaning width and weighs 68 lbs. Strong solution delivery pump produces .43 gpm @ 60 psi. 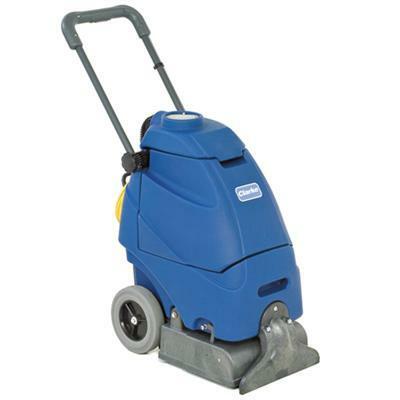 1.2 hp vacuum has powerful 85" of waterlift. Stair and upholstery cleaning tool attachment is available. Excellent carpet cleaning chemical is available. * Please call us with any questions about our carpet cleaning machine rentals in Oak Grove MO, Blue Springs MO, Independence MO, Lexington MO, Odessa MO, Independence MO and Western Missouri.